An annual herb with diffused or prostrate stems. The branches are flexuous covered with silky thread like hairs. The leaves are pari-pinnate having 6 to 7 pairs of leaflets that are narrow-elliptic with round base and apex. The veins on the upper surface are covered with hairs and those on the lower surface are covered with silky thread like hairs. The yellow flowers are borne solitary and axillary. Each flower has five petals and five sepals. The stamens are ten and arranged in two whorls of five each. The five stamens which grow opposite to the petals are slightly longer than the remaining stamens. The ovary is five-chambered and possesses five prominent angles. The fruit is weapon-wheel shaped containing five parts. Each part has two long sharp rigid spines, several shorter spines and surface covered with many hairs. This herb normally grows near crop fields, in wastelands and sandy grounds. The fruit is collected in the months of September and October and dried. It is useful in the treatment of all types of cold disorders like cold stress disorders, arthritis, first stage dropsy, diseases of the serious fluid, dysuria, eczema etc. Cooling, diuretic, tonic, aphrodisiac, used in painful micturation, calculus affection urinary discharges and impotence increases the sperm count. The reproductive systems of both men and women receive beneficial results from Gokhru. It may be used in formulations for impotence, venereal diseases, sexual debility. Aphrodisiac action due to the presence of saponinn in Gokhru. It boosts the hormones in the body. Hormones produced by the body or taken in via phytosteriodes do not accumulate in tissue and are easily broken down by our bodies. Therefore the body is not going to incorporate/metabolize a large quantity of hormones at any stage. Gokhru stimulates increase in hormone production in the body and also stimulates its effect. Its health benefit of hormone supplement action from anti-aging to anti-oxidants is well known. One group of natural sources for hormones is the plant steroid (i.e. Plant that have been laboratory proven to contain steroid hormones). Gokhru is the plaint of choice. It has a 5,000 year-old history of medicinal use in India. 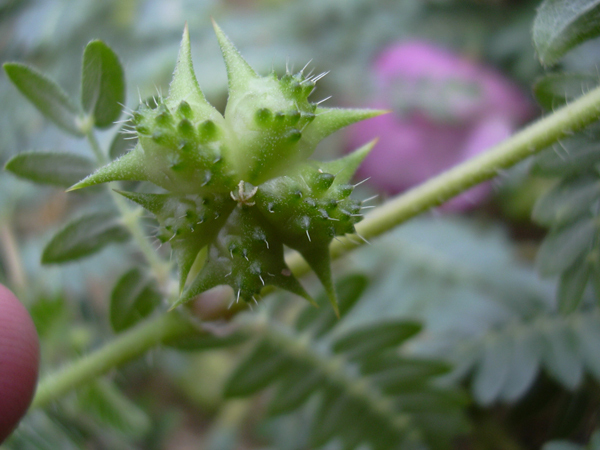 There it has been used for boosting hormone production in men and women, Urinary tract problems, itchy skin and blood purification. Do not take if dehydrated. No other significant information regarding safety is available.